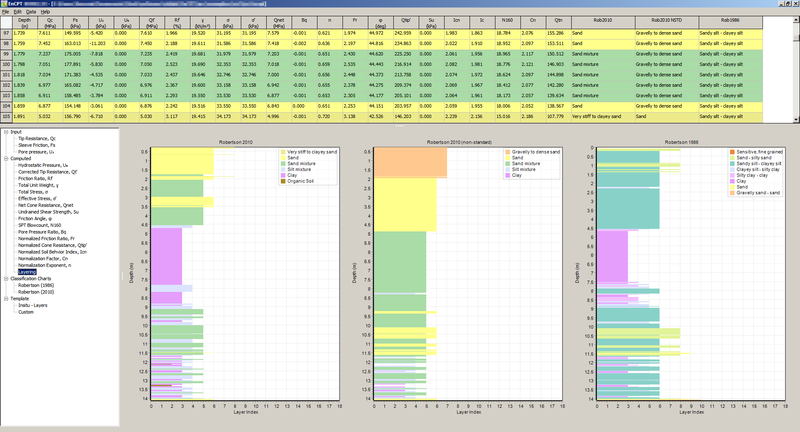 EnCPT is an easy-to-use software, developed for engineers and geotechnical service providers, to quickly import, process, & visualize Cone Penetration Test (CPT) data. With EnCPT, users can also export processed data directly into other Ensoft programs, like LPILE (others to follow), for analysis. This combination of EnCPT and the other analysis products from Ensoft, make for a complete end-to-end suite of analysis tools. 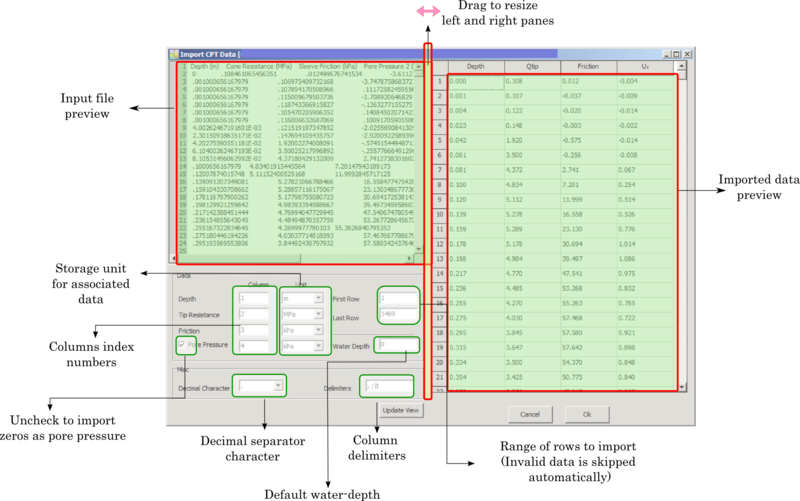 Similar to other Ensoft products EnCPT features a simple intuitive interface, with interactive and customizable features giving the user total control of the data. Whether an engineer looking to streamline their data processing and analysis, or a geotechnical service looking to provide additional value to clients, consider EnCPT. 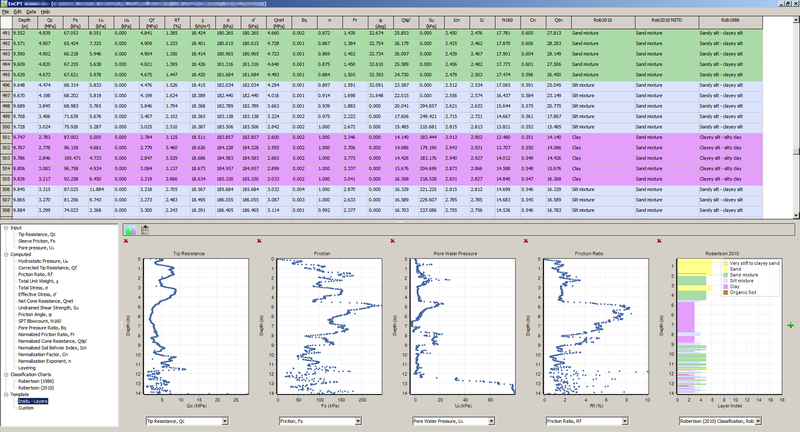 Easy to use interface for importing measured ASCII formatted CPT data and displaying interpretation results. 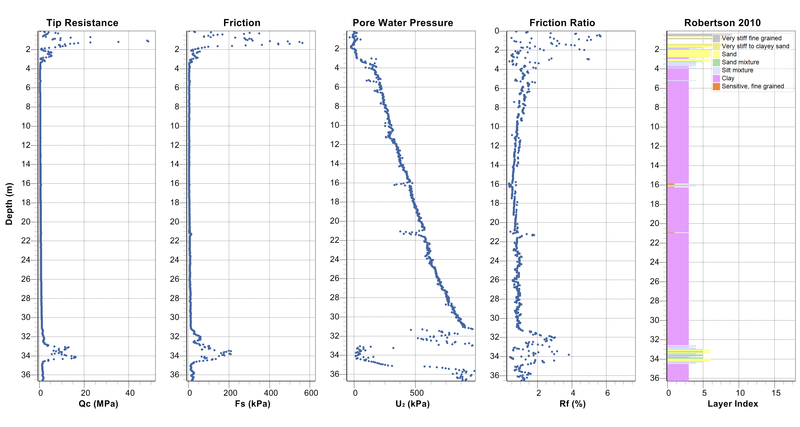 Measured cone resistance, cone friction, and pore water pressure (optional) can be imported into EnCPT through the interactive import tool. 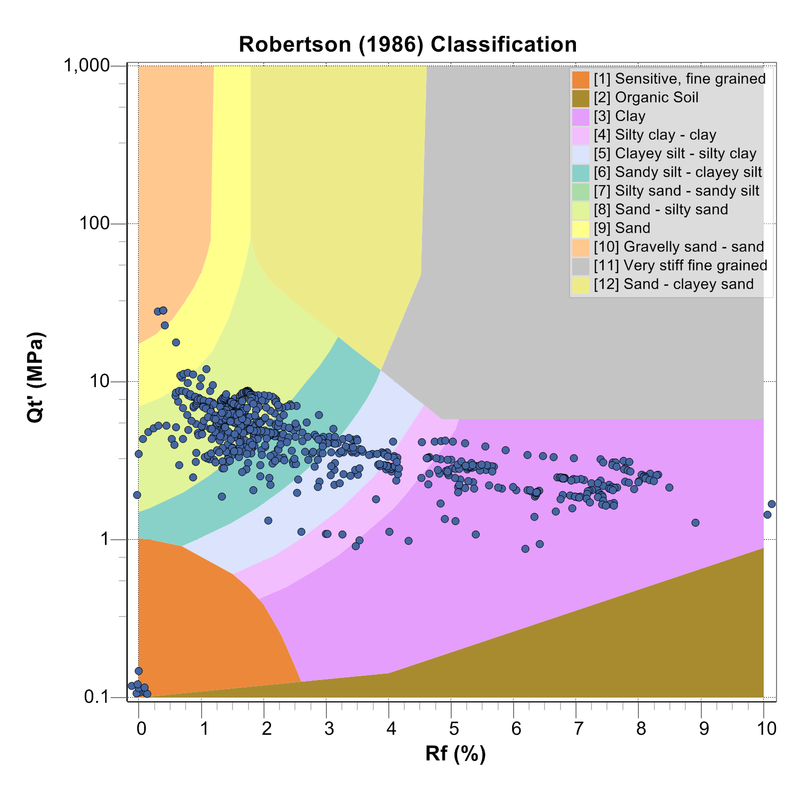 Determine soil type using Robertson 1986, Robertson 2010, and Robertson 2010b criteria and provide soil layering classification plots. Easily edit and modify imported data points. Customizable viewports for side by side plot comparison. Simple export tool to generate graphics file for reporting. Generate simple reports (see example)and export to Microsoft Word (requires MS Word to be installed). Generate linear soil layer output and associate p-y criteria data to layers for other software. Intuitive features for user editing and adjustments of data points, if desired. 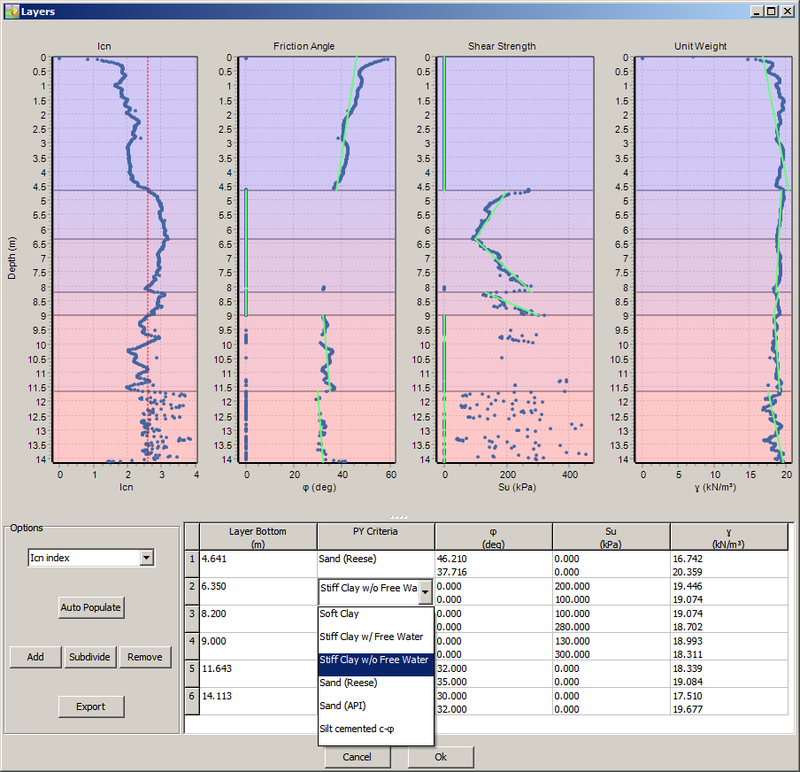 Export generated soil layers and p-y criteria data to other Ensoft compatible software such as LPILE (others coming soon). Download the latest version and try it out for free in demo mode. EnCPT may lack few functionality when running in the demo mode. See table below.